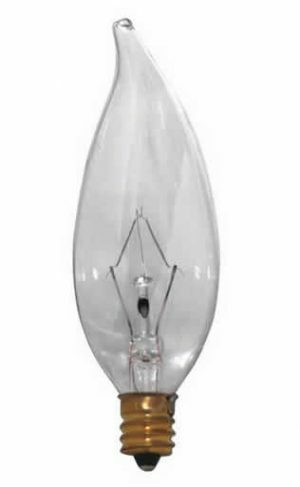 Aero-Tech’s 25W Chandelier Light Bulb. 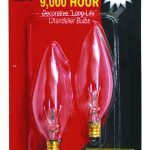 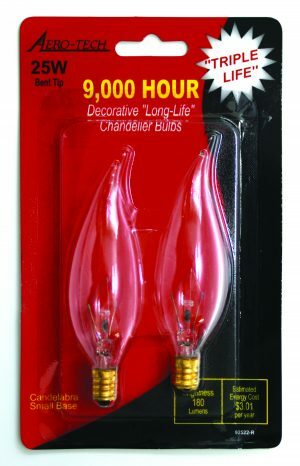 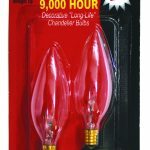 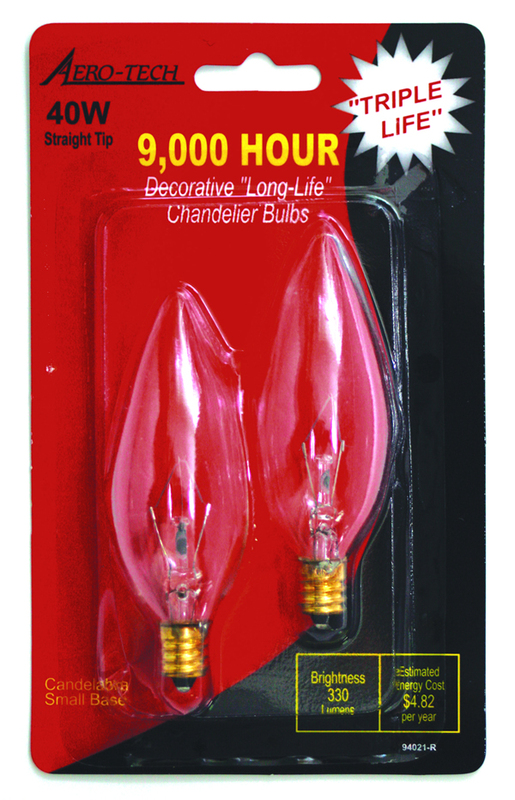 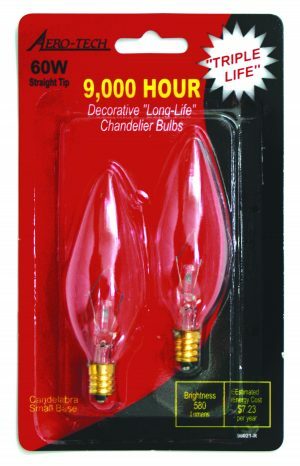 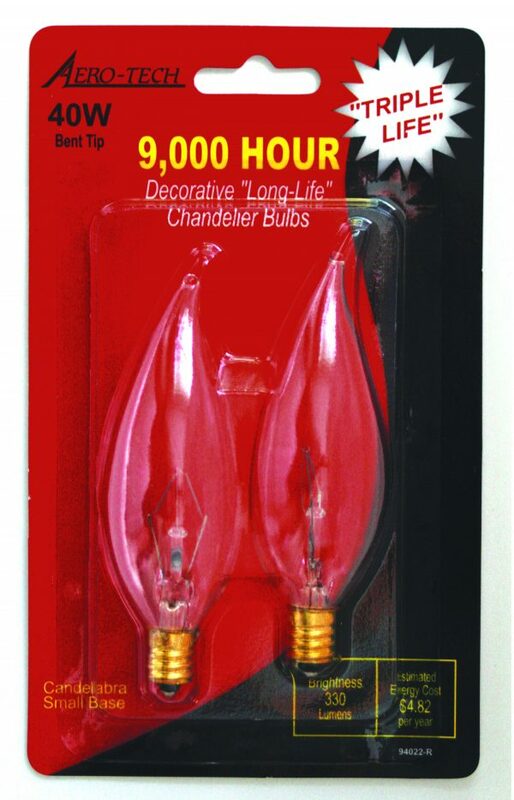 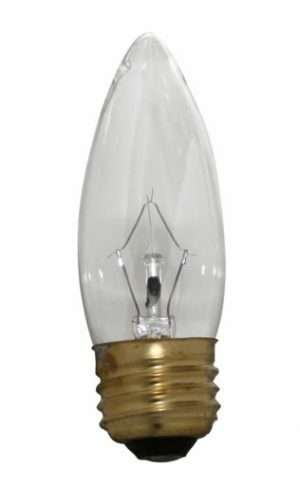 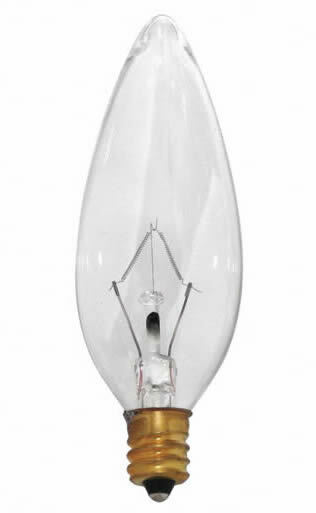 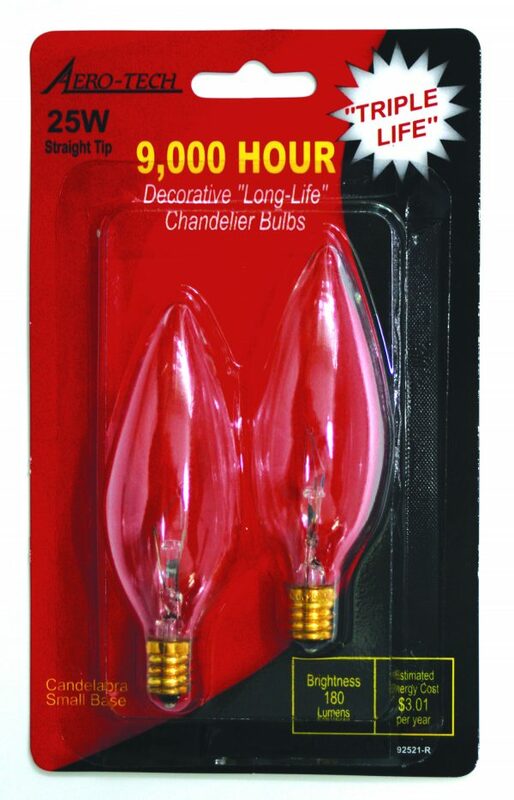 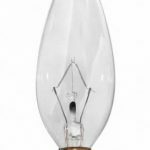 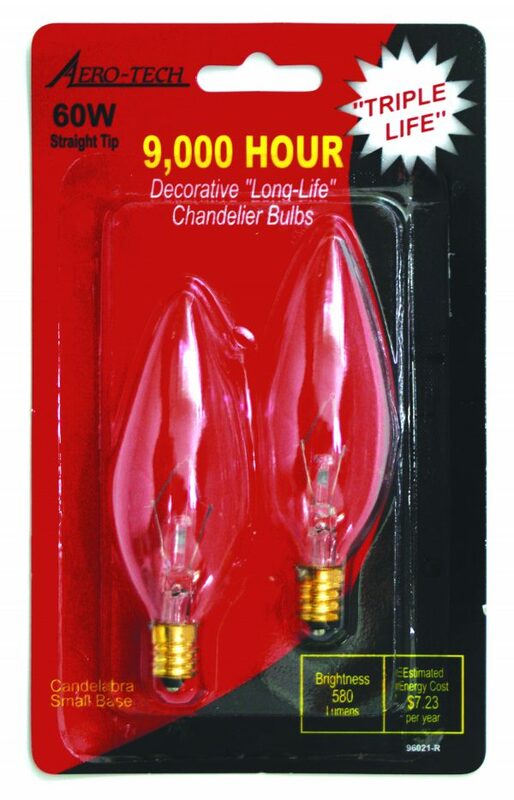 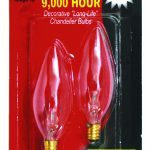 This is a straight tip clear 120v bulb with a life of 9,000 hours. 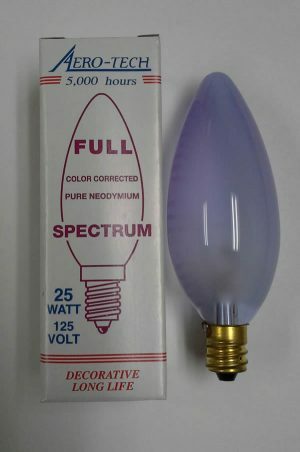 Clear, Frost and Full Spectrum.